Doctors are often accused of being unfeeling technicians who treat their patients like cases of disease rather than people (think Dr. House). 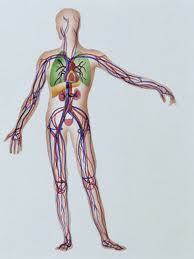 We were taught in medical school to remain detached, not get too close to patients, and not show our emotions. That attitude was epitomized in William Osler’s essay Aequanimitas. But doctors have feelings like anyone else, and no one is Spockishly rational. A patient might reasonably say “I don’t give a damn how my doctor feels as long as she gets me better,” but emotions affect everything we do, influencing clinical decisions and patient outcomes. 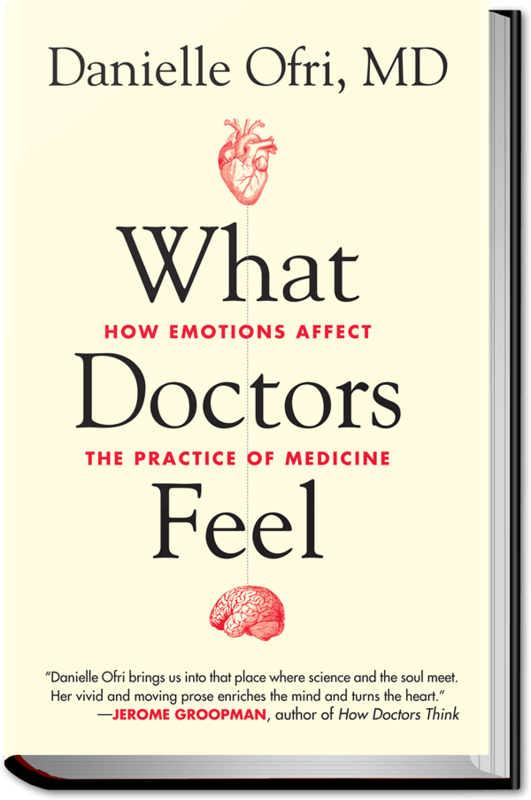 This subject is investigated in a new book, What Doctors Feel: How Emotions Affect the Practice of Medicine , by Danielle Ofri, MD, PhD, an associate professor of medicine and an accomplished writer who has written extensively about her experiences in medicine. She tells anecdotes from her training to give the reader a feel for what it was like to be in an extremely stressful situation with time pressure, conflicting duties, lack of sleep, life-or-death responsibilities, the highest expectations, and the impossibility of both getting everything done and doing each thing well. It reminded me of times in my own training when I desperately wanted to just somehow survive the day and not kill anyone. Medical residency can be almost as stressful as a war zone, and has its own PTSD victims, complete with flashbacks. Empathy for patients tends to diminish during training. And it’s important: in one study the diabetic patients of high-empathy doctors had better outcomes. Everyone makes mistakes. Ofri candidly confesses some of her own mistakes and near-disasters and the emotional impact they had on her. When doctors make mistakes and a patient is injured or dies, or almost dies, it takes a terrible toll: guilt, shame, fear, defensive practice (ordering unneeded tests and getting rid of rude, demanding, or noncompliant patients), and soul-corroding damage to their core sense of self. And then the lawsuits! 75% of doctors in low-risk specialties (pediatrics, dermatology, psychiatry) will be sued for malpractice by age 65; in high-risk fields (neurosurgery, cardiac surgery, obstetrics) it’s 99%. Fully 19% of neurosurgeons face a lawsuit each year. 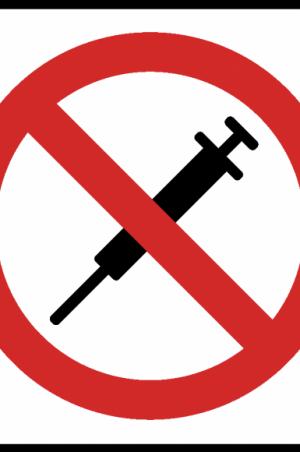 Not even a seemingly perfect doctor/patient relationship can prevent lawsuits. She tells about a family doctor who delivered a child with cerebral palsy and remained close to the family as he cared for them over 20 years. He was devastated to be sued for obstetrical malpractice at the 20 year mark even though he understood the financial motivation: the parents were afraid there wouldn’t be enough resources to care for their son after their death. Even if the suit is frivolous and the doctor has not made a mistake, the legal process is emotionally draining and can last for years. Doctors who have been sued are more prone to burnout, depression, and suicidal thoughts. In a recent Medscape report, 23% of doctors characterized their lawsuit as “Horrible. One of the worst experiences of my life.” 39% of lawsuits lasted between one and two years; 11% dragged on for more than 5 years. On the upside, 57% resulted in no monetary award to the plaintiff. The long-term effects? 29% said “I no longer trust patients; I treat them differently.” And some of them practiced defensive medicine. Ofri discusses problems with American medicine: the increasing burden of paperwork, the decreasing time for patients. Hospitalists spend only 18% of their time on direct patient care. She describes the emotional ups and downs she experienced over many years with a favorite patient, a plucky single mother with progressive heart failure. As an illegal immigrant, she was ineligible for the heart transplant list. Finally she got a green card and a heart. Dr. Ofri describes her own joy at hearing the news; but then she has to describe her sorrow when the patient promptly dies of surgical complications. The “system” often sets doctors up for failure and helpless frustration. She reports a trivial but telling example: residents were required to be in a conference that lasted until 1 pm, and also expected to arrive promptly at 1 pm in the clinic a quarter of a mile and 2 slow elevators away. A simple change to a 1:15 pm clinic starting time solved that problem. More serious problems of burnout and lack of sleep are being addressed by limiting hours on duty and facilitating discussions and group support efforts. Much more can be done, such as allowing more time with patients, and Dr. Ofri’s insightful book can help guide us in the right direction. Acknowledging the role of emotion in medical practice will be a critical factor.